In 1970, nearly 70 percent of Boston’s population was white. But according to a 2014 Boston Redevelopment Authority Report, these days, whites account for 47 percent of Boston’s residents—making it a majority-minority community. But that is not reflected by the number of people of color in leadership positions, said Myran Parker-Brass, executive director for the arts at the Boston Public Schools, at the talk “The Path Forward: A Conversation on Racial Equity in Arts Leadership” organized by the Network for Arts Administrators of Color at Boston’s Institute of Contemporary Art last night. 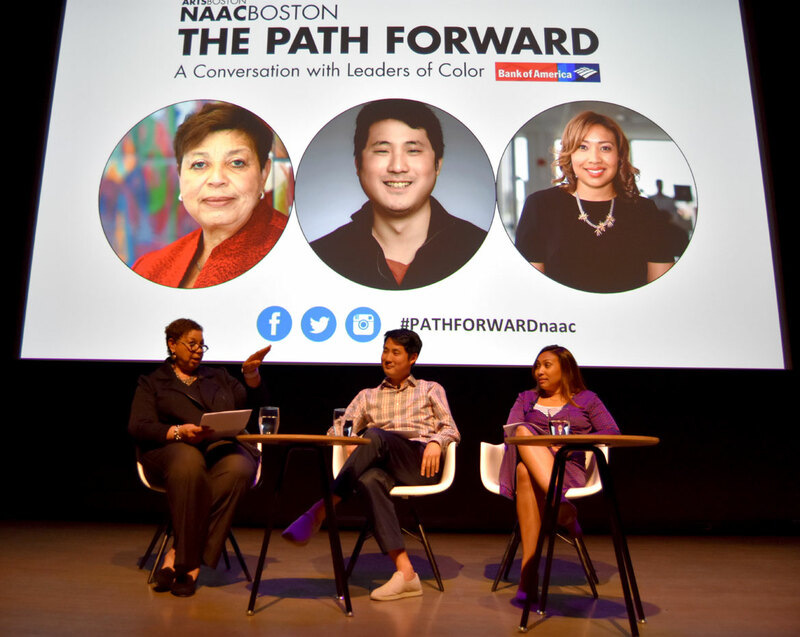 “We definitely have a representation issue,” said Yasmin Cruz, who is involved in client service and strategic planning at the investment management firm Brown Advisory and serves on the board of the ArtsBoston consortium of local arts organizations. She previously worked on community investment strategy for the John Hancock financial firm. “I think things are shifting here.” She said there are more opportunities for mentorship and sponsorship—and those opportunities are offered by more people. More than 200 people are now involved in the group. 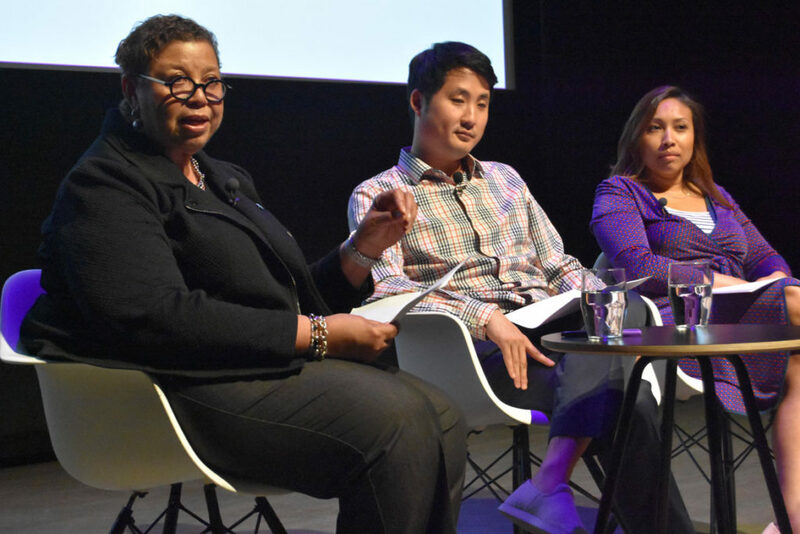 “The narrative that there aren’t enough leaders of color or arts administrators of color is still a myth that exists in Boston,” network founder Victoria George, also ArtsBoston’s Audience Lab director, noted last night. Much of last night’s panel discussion focused on the relationship between arts and Boston’s business community. Cruz talked of “art as a destination,” that art brings in tourism. 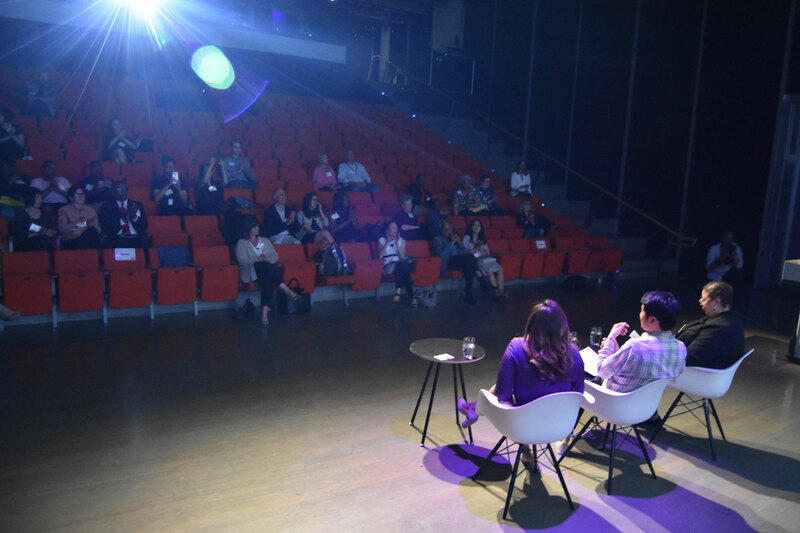 “I and my colleagues need to do a better job of communicating the value” of the arts, Kang said. “From a young age, the best indicator of economic success is who you know,” Kang said. “We live in our very siloed communities,” Kang said. “How do you then expand those networks?” He suggested making collaborations and partnerships with communities with which you’re less familiar.